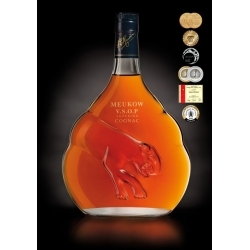 Cognac Meukow Nec Plus Ultra is the pure heritage of the experience of the Meukow House, glorifying the oldest eaux-de-vie kept with great attention in the Paradis Cellar. 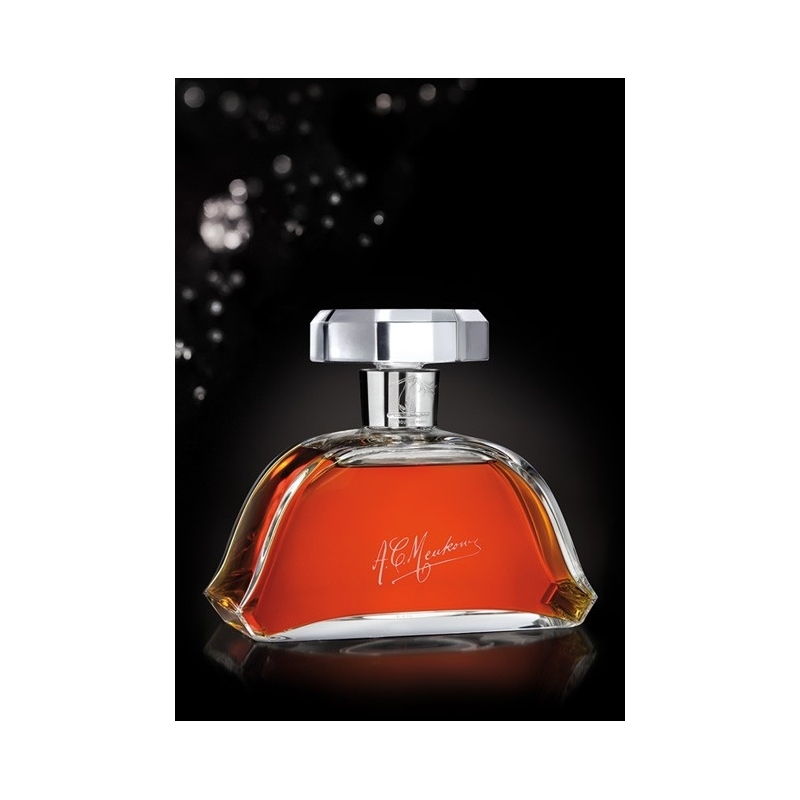 The decanter drawings, created by the prestigious Baccarat House, date back to 1950. 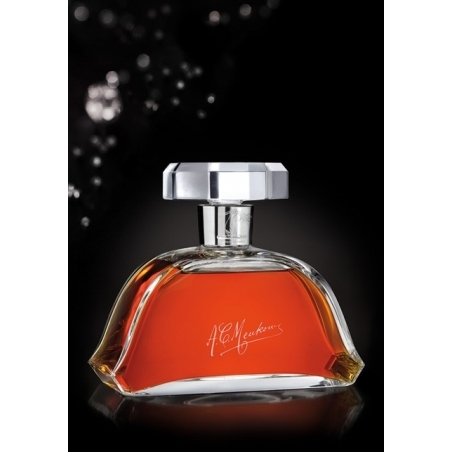 Cognac Meukow VS is characterised by its well-balanced blend between the roundness of its fruity notes and the delicacy of its woody nuances. 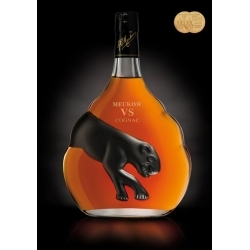 Cognac Meukow VSOP Superior : Its incredible roundness is the fruit of the meticulous selection of eaux-de-vie entering in its blend and the minimum ageing requirement which is one year longer than the traditional VSOP. 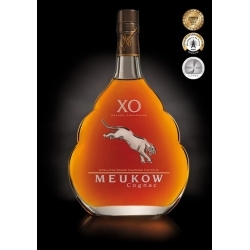 Cognac Meukow XO is the fruit of the blend that combines the power of the tannins brought by the long ageing in oak wood barrels and the delicacy of Grande and Petite Champagne eaux-de-vie with the sweetness of Fins and Bons Bois eaux-de-vie. 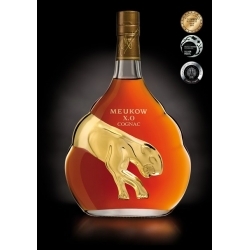 Cognac Meukow XO Grande Champagne is the exclusive blend of Grande Champagne, first cru of Cognac. 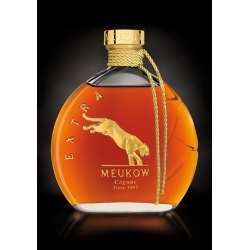 Cognac Meukow Extra : The cognacs entering in the blend of Meukow Extra are meticulously selected by the Cellar Master within the oldest cognacs preciously kept in the Paradis Cellar. 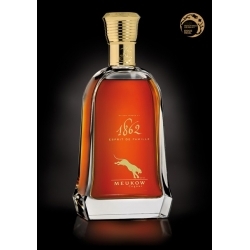 Cognac Meukow 1862 Esprit de Famille : Unique blend of the most prestigious cognacs of the House, Meukow Esprit de Famille reveals the splendours of the heritage and the pride of perpetuating this tradition throughout the world. 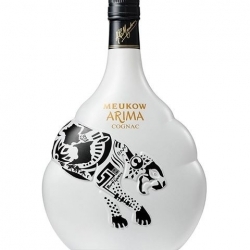 Cognac Meukow ARIMA : The Signature of Bunji Garlin MEUKOW ARIMA is a special and unique blend. 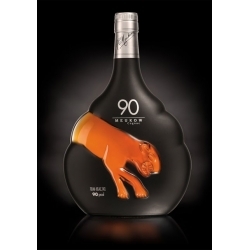 Its Perfect balance between elegance & roundness is particularly appreciated "on the rocks"